I’m anxious for Spring to come, not just to see everything come back to life in our yard, but to have some fresh muse for my sketchbook. They are a flowering plant in the poppy family, native to Siberia, northern China, Korea and Japan. 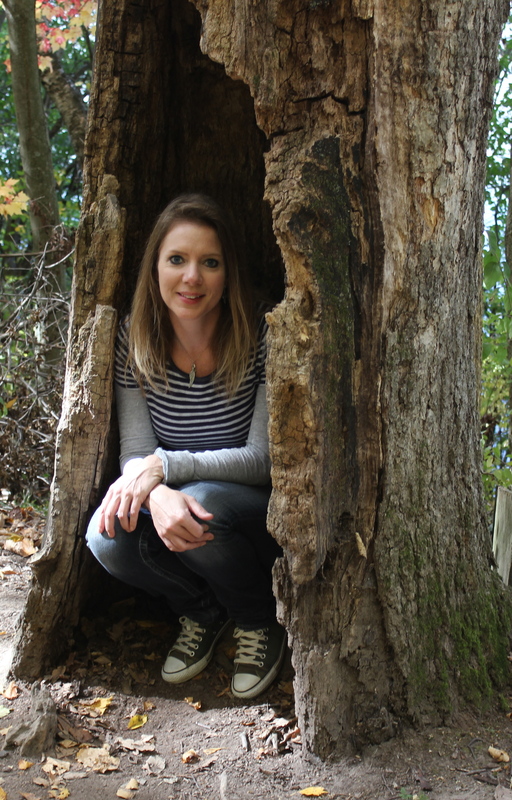 Lucky for us, they were already here when we bought our house nine years ago. 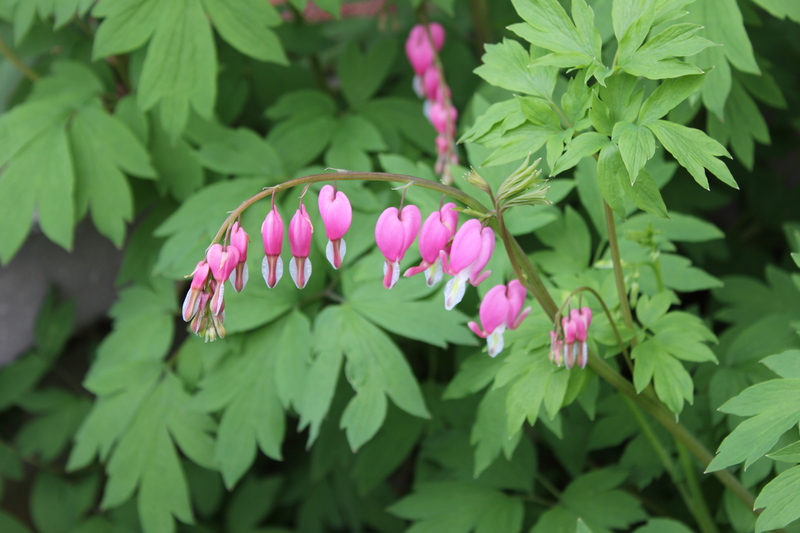 There is a legend from Japan which tells a story of how the bleeding heart flower came to be. In the story, a young man tried win the love of a young lady. He did this by giving a pair of rabbits (which are the first two petals of the flower), a pair of slippers (which are the next two petals of the flower), and finally a pair of earrings (which are the last two petals of the flower) to the girl. She continued to reject his affections, and, heart-broken, he pierced his heart with his sword (the middle part of the flower) which caused the bleeding heart. 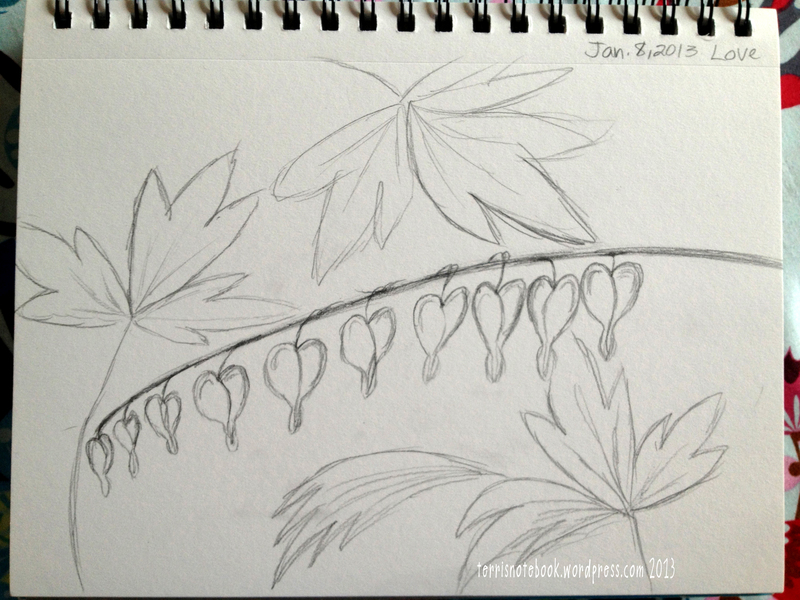 Besides admiring them and photographing them, I also love to draw bleeding hearts! In anticipation of Spring and all of the plants in our gardens coming back to life soon, I finished this page in my sketchbook over the weekend. 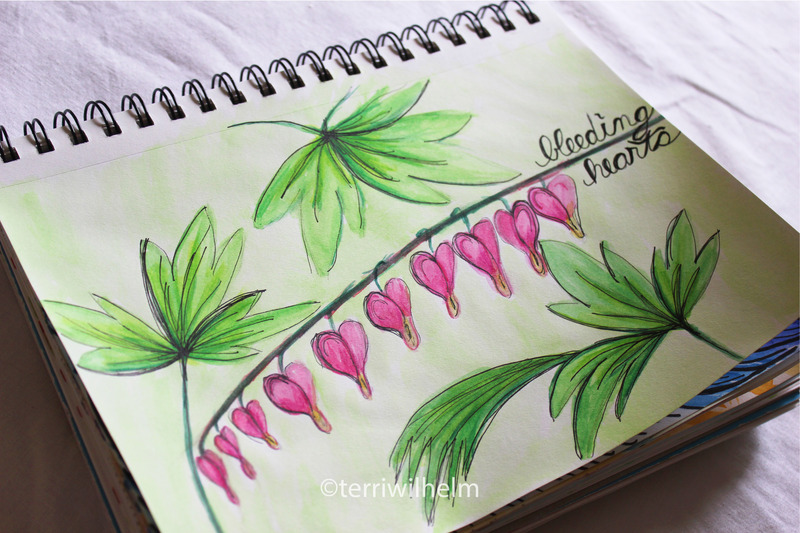 Be sure to stop by my shop when you get a chance to check out my bleeding heart notecards. Glad to hear that your garden is coming back to life after your Winter. 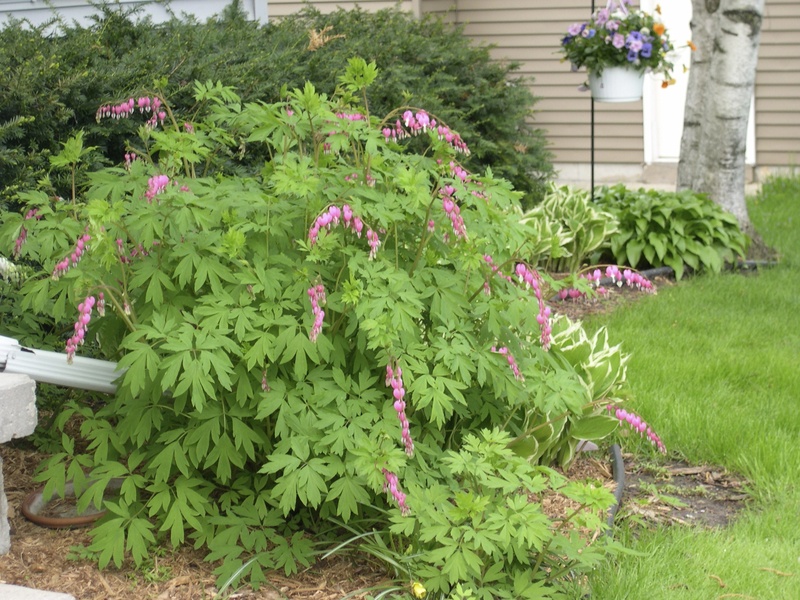 Amazing story re the bleeding heart. Your cards based on this flower are stunning. Thanks Bev. I should add that these pictures are from last year, since we still have plenty of snow covering our gardens. The bulbs are just barely peaking through the dirt, where there is bare dirt showing.